Dubai: In an effort to establish happiness and positivity as a culture and a way of life in the UAE, the National Happiness and Positivity Programme has launched the Happiness Films initiative. Being held in collaboration with Majid Al Futtaim Group, the initiative aims to raising awareness in the community of the need to produce innovative and positive content. Uhoud Khalfan Al Roumi, Minister of State for Happiness and Quality of Life and director-general of the Prime Minister’s Office at the Ministry of Cabinet Affairs and the Future, said that the Happiness Films Award is an incentive for community members to actively contribute to the development of innovative, positive content, creating community awareness and promoting positive behaviour through short films that are widely disseminated across the internet and social networking platforms. 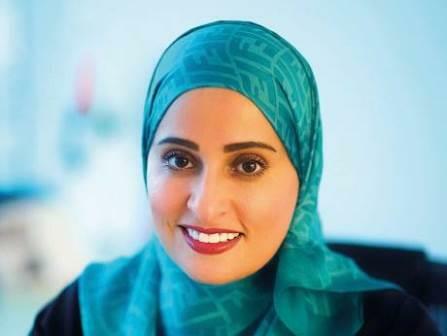 “The widespread appeal of short films has led us to consider engaging the community in our efforts to establish a culture of happiness, positivity and well-being, and raise awareness of these noble values through meaningful films that reflect the filmmakers’ understanding and vision of happiness and positivity,” Al Roumi said. The minister applauded the initiative’s partners from the UAE private sector for their support, particularly in evaluating and screening the participating short films. “Art plays a vital role in raising social awareness, shaping the community’s value system and vision, promoting positive behaviour and stimulating creativity among individuals. This initiative embodies abstract concepts of happiness through visual stories, depicting scenes from the everyday lives of individuals,” Al Roumi added. The National Happiness and Positivity Programme will be receiving applications for the contest over the course of two months, until March 20, which is the International Day of Happiness. All citizens and residents of the UAE are eligible to apply and submit their short films or animations — regardless of cameras or equipment used — as long as they focus on happiness and positivity, and relay the participant’s point of view in one minute or less. The judging panel is made up of renowned artists and film directors in the UAE. The programme will announce the winners during a large awards ceremony, where the top three entries will receive monetary prizes and a trip to the Cannes Film Festival, as well as the opportunity to have their films screened across theatres.